The Candela GentleMAX laser machine is a potent combination of two of Candela’s most popular models, the GentleLASE and GentleYAG. With the option of having wavelengths of both 755 nm and 1064 nm and a wide range of selectable spot sizes up to 18 mm, the Candela GentleMAX system can handle a long list of cosmetic applications. If you are looking for a pre-owned Candela GentleMAX laser machine at the lowest price, contact us right now for a no obligation quote. The Candela GentleMAX system includes Candela’s proprietary Dynamic Cooling Device (DCD) for exceptional patient comfort, and you can achieve even greater patient satisfaction because of the remarkable treatment speed of this model. There are four different configurations for the Candela GentleMAX system, and SunrayLaser.com can deliver any of them at the lowest cost to you. Candela is well known for producing quality cosmetic laser equipment at affordable prices. That makes their systems ideal for anyone looking for used Candela GentleMAX equipment at a reasonable cost. At SunrayLaser.com, we sell quality pre-owned cosmetic laser machines at up to 60% off the new retail cost and we guarantee your complete and total satisfaction. 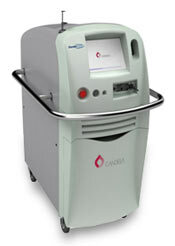 To get a low price quote on a Candela GentleMAX laser system, all it takes is one email to SunrayLaser.com. We are a U.S.-based company that deals with the highest quality used laser machines available. Simply fill out the contact form below for a free Candela GentleMAX price quote.